Steelwork Contractor Cleveland Bridge UK Ltd. 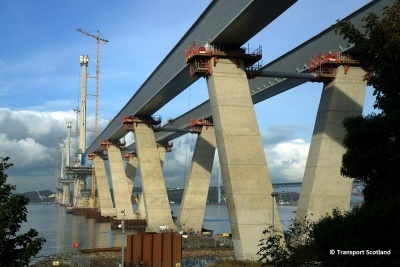 In a landscape comprising the Forth Bridge and the Forth Road Bridge, the new Queensferry Crossing, Britain’s tallest bridge, cannot fail to impress. 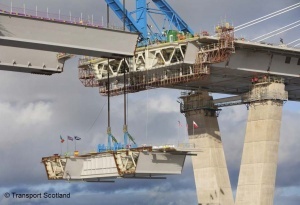 This scheme for the southern approach viaduct embodies the knowledge in design, fabrication and long‐term maintenance, in the launching and finishing the twin box viaducts, from some of the world’s most accomplished bridge builders.